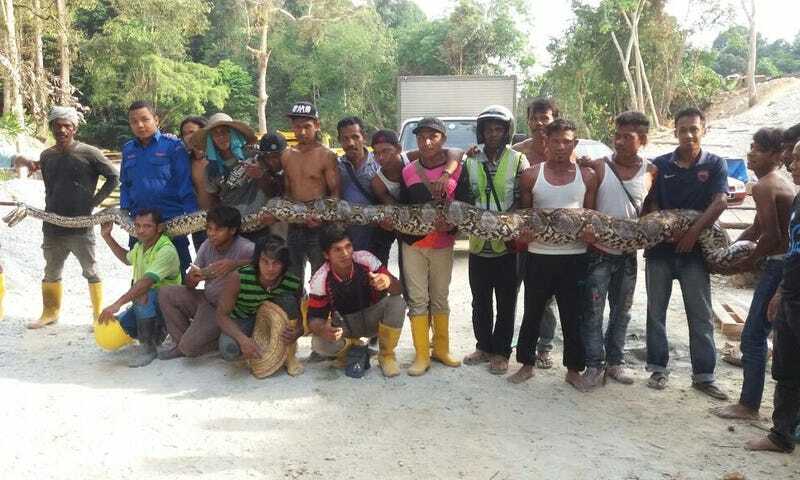 Late last week, an absolutely ginormous python was found caught under a tree that had fallen near a Malaysian construction site. Its length has been pegged at 26 feet (8 meters), which, if verified, would make it the longest snake ever captured. The snake, a reticulated python, was spotted from the air during a flyover in Paya Terubong, a district of Penang. Malaysia’s civil defense force was called in to deal with it (yes, really), and it took them a half hour to trap it. Sadly, it died on Sunday after giving birth, three days after it was captured. Or at least that’s the story we’re being given. A member of the defense force told The Guardian that the python measures 26.2 feet (eight meters), which would be a world record. Currently, Guinness Records recognizes the longest snake ever in captivity as Medusa, another reticulated python, which currently lives in Missouri. This behemoth measures 25.1 feet (7.67 meters) and weighs 350 pounds (158 kg). That’s over 200 pounds (90 kg) lighter than the new Malaysian specimen. It’s possible that larger snakes live in the wild. 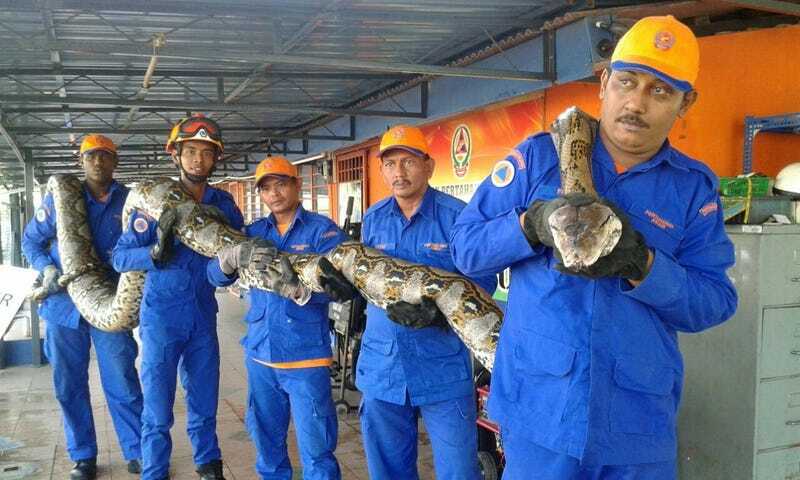 Back in 1912, a 32-foot-long (10 meter) python was reportedly discovered in Indonesia.